“I am officially recognizing the President of the Venezuelan National Assembly, Juan Guaido,” Trump said in a statement. 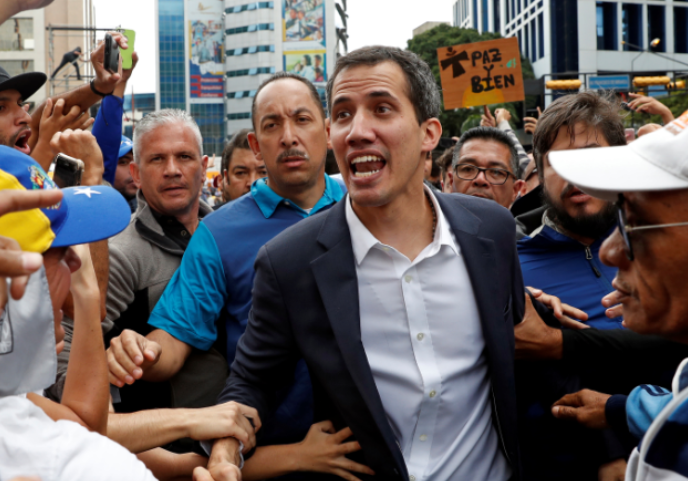 Maduro has come under a barrage of criticism after the election as opposition to the socialist leader is growing into a fevered pitch. Trump slapped sanctions on Venezuela in November. The U.S. will block the movement of all property related to the gold sector of the Venezuelan economy, any goods “directly or indirectly engaged” with the Venezuelan government, according to the text of the executive order. Trump also ordered a round of sanctions in May, shortly after Maduro’s election, to prevent Venezuela from quickly selling key assets to fill the void left from a loss of oil assets.